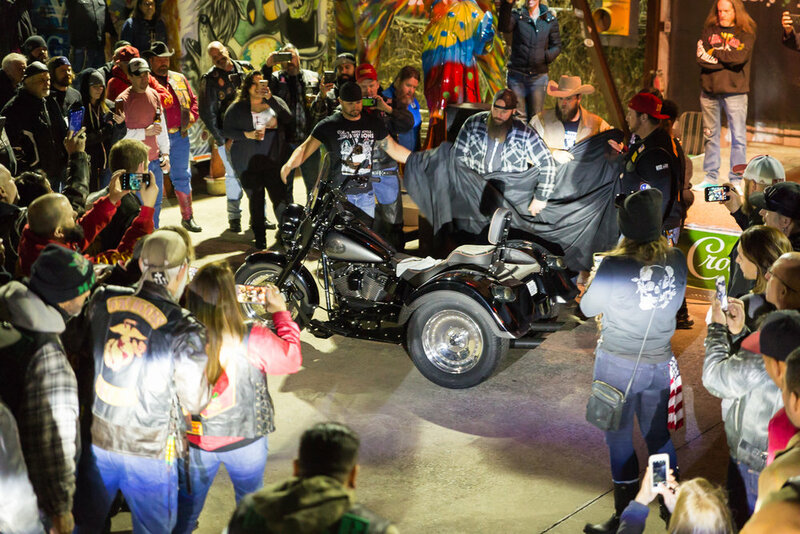 Last Friday at Strokers Dallas, four Motorcycle Missions vets from the DFW area revealed the Harley Softail trike they customized and outfitted for a true American patriot, SSgt Mark “Tinman” Graunke. Huge thanks to 22 Kill for making this possible for Tinman and for our builders, and thank you Rick Fairless for hosting the reveal. 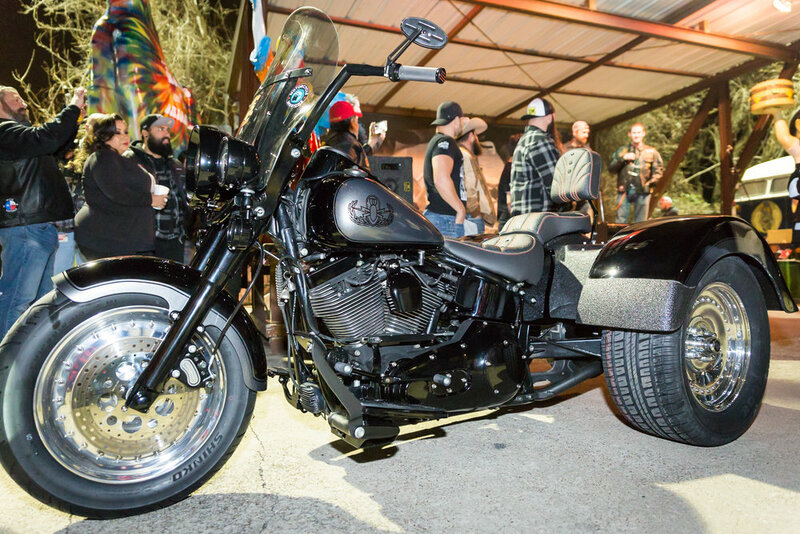 Photos courtesy of Progressive International Motorcycle Shows, and thank you Manny Pandya, our friend, for taking them!